Cast Photo from Another Language. Another Language was originally written in 1929 under the title of Hallam Wives by prolific Hollywood and Broadway author Rose Franken. In 1932 she revised the play and re-released it as Another Language. In 1933 it was adapted into a movie staring Helen Hayes. 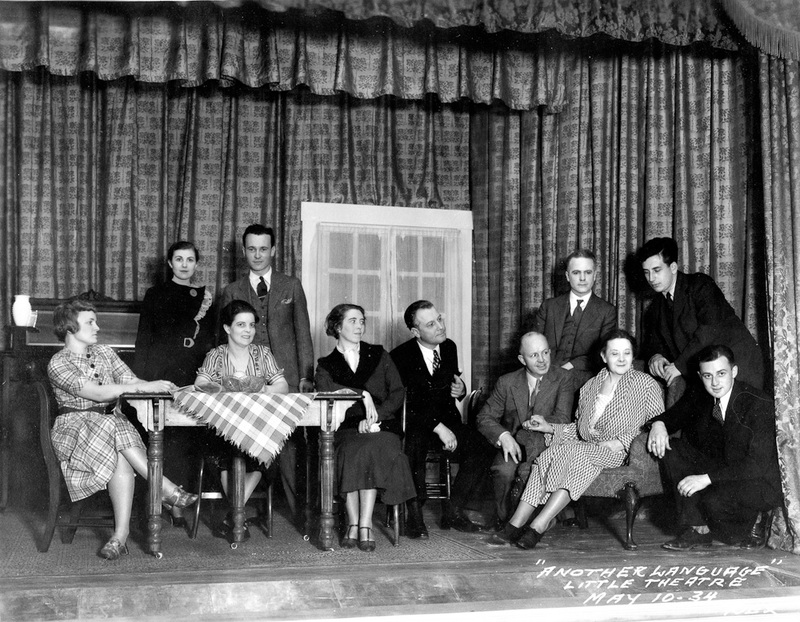 Another Language was the debut production of Howard Lambert, a young man who had recently moved to Janesville. Reviews noted the talents of this young "find" for group. Howard would go on to star in many productions, direct several plays, and serve a few terms as President of Janesville Little Theatre.